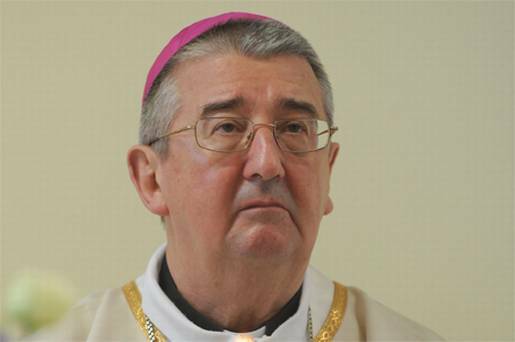 Archbishop appeals for serious dialogue about the contribution of faith and religious people. He was discussing Pope Francis’ in-depth interview with the Italian Jesuit journal, La Civiltà Cattolica, on RTE Radio’s Morning Ireland programme. “I would love to see, in the broad general discussion, that we move away from internal squabbles back into a serious dialogue about the contribution of faith and the contribution of religious people,” the Archbishop said. Elsewhere in his interview, the Pope indicated that conflicts over orthodoxy should be handled by local bishops’ conferences rather than the Curia and he also criticised the excessive number of denunciations sent to Rome about priests and theologians complaining of their lack of orthodoxy. In his interview on Friday with RTE, Archbishop Martin said the censures of five Irish priests by the Vatican should have been dealt with by the Irish Church instead of Rome. “When I met with the representatives of the Association of Catholic Priests in Dublin, I said very strongly that I believe that these matters should always begin with the local church,” the Archbishop said. “It also means that if there are doctrinal problems the local churches have the instruments to deal with them and deal with them in a robust manner,” he stated. Noting that Irish society had been through some difficult years, Archbishop Martin said he agreed with Pope Francis that the Church shouldn’t be so over concerned only with the issues of abortion, gay marriage and contraceptives. “We in Ireland come out of a rigorist tradition and he [the Pope] criticises the rigorists” and he said the Pope also criticised proponents of a more lax approach. “What is the middle way?” he asked. The Pope’s call for local bishops’ conferences to handle such matters could potentially be “good news” for Fr Flannery and the other censured Irish priests. “It changes the rules of the game in the sense that it appears that the Curia has largely been taken out of the business of dealing with disciplinary matters and it has been handed this back to the local church to deal with it,” he said. For Fr Flannery, that means that the matter should be dealt with by his Redemptorist congregation. The priest, whose recently launched book ‘A Question of Conscience’ has sold out and a second reprint is due in just over a week’s time, said there was “no question” but that the Pope was criticising the “thought police” who spent their time reporting people to Rome. Separately, the lay reform group, We are Church Ireland has questioned whether Pope Francis would have been able to express such views when he was a cleric in Argentina or would he have incurred the wrath of the Vatican’ Congregation for the Doctrine of the Faith. Spokesman Brendan Butler said the interview should set the agenda for the Pope’s forthcoming meeting with eight specially selected cardinals at the beginning of October who are advising him on how to reform the governance of the Vatican.